There are monsters we've all heard about, the Loch Ness Monster, Yetis and Chupacabras are just a few, but if people are to be believed there are lots of local monsters as well, who haven't received quite as much fame. Yet. And late October is an excellent time to gather your friends together and plan a little overnight hunting expedition. The wonderful thing about the idea of actually setting out to follow in the footsteps of the great monster hunters of the age of bravery, is that finding one, or evidence of one would prove your point either way. If an ardent disbeliever found something it would prove that what people thought was a monster was merely an [insert complicated Latin name here]. And if you're a fervent believer that 'there are more things in heaven and earth than are dreamt in man's philosophy', then in discovering your monster you'll be proving own philosophy. The first thing you need to do when planning your monster hunting expedition is to be scientific about it – starting with calling yourself a Cryptozoologist, which is the name for the pseudo-scientists who study hidden, or mystery animals. Your prey should be referred to as a cryptid rather than monster to reduce the stigma attached to your venture. 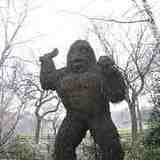 The next thing step is to do some research into your local cryptids. Cryptids fall into two main categories: Creatures that are generally believed to be extinct, but which cyrptozoologists believe may not be - dinosaurs hiding out deep under the surface of remote lakes, or lochs for example. And creatures which cryptozoologists believe exist but there's no scientific evidence to prove it - as in big cats/ wolf hybrids living out on the moors. Pay attention to local folk lore and urban legends, the bare bones of which are often founded on historic facts (stories of sea monsters are now thought to describe encounters with giant squids.). Once you have made your discovery of impeachable evidence proving beyond a shadow of a doubt that your quarry exists your main problem will be getting everyone else to believe you. 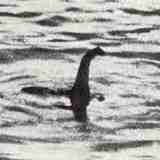 Hunters of the most popular cryptids like Champ, Big Foot and the Loch Ness Monster seem to cop the most flak. Searching for a creature who has managed to evade decades worth of rigorous searching is a short cut to disappointment and ridicule. The pay off is that if you were to find proof of one of these A-list cyptids you would be very very very famous and possibly wealthy with it. If you weigh it up and the risk of spending your life alone in a van watching over a still lake waiting for something to happen sounds too high you can hunt something smaller, there must be hundreds of undiscovered beetles out there, some of which probably have exciting horns or markings and fit the classification of 'mystery animal'. Remember, no one believed in platypuses, giant squids or Komodo Dragons to begin with either. Alternatively, you could arrange for one of your team to bring a costume and to play your cryptid. Leaving a trail and acting the quarry to give the rest of your team a Halloween thrill. "It's common knowledge that man is yet to discover and catalogue all the world's plants and animals." What, there are no women scientists working in these fields?